5. How to Import/Export Library? 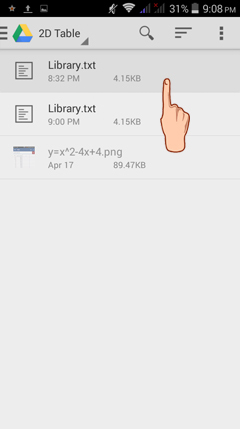 How to Export the Library? 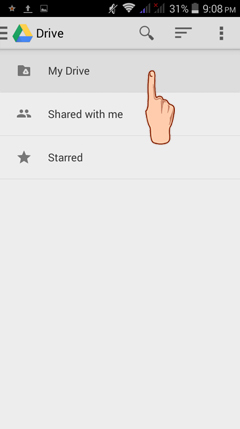 1) Tap the menu button on the top-left corner of your screen. 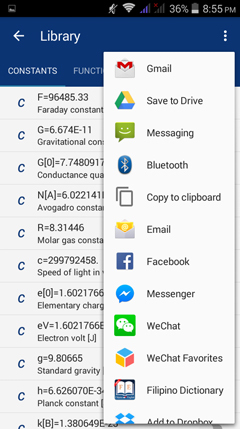 2) Tap either constants or functions. 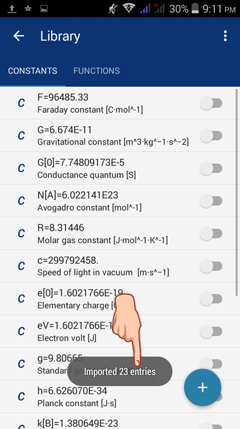 In this example, I tap constants. 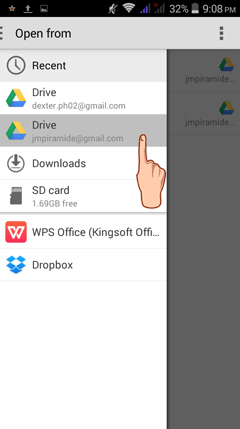 3) Tap the options button on the top-right corner of the library window to see the "export library" option. 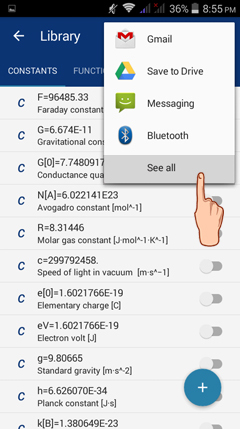 5) Select the program where you want to send the constants/functions stored. Tap SEE ALL to view the other programs available. 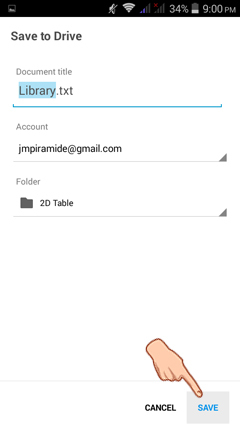 6) Tap the chosen program as venue for transfer of library constants to another program. In this example, I used "Save to Drive". 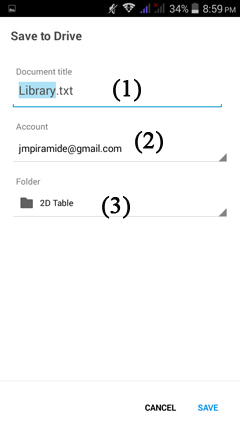 7) Write the document title, choose the google mail account to use and the folder where to save the constants/functions. 8) Tap SAVE. 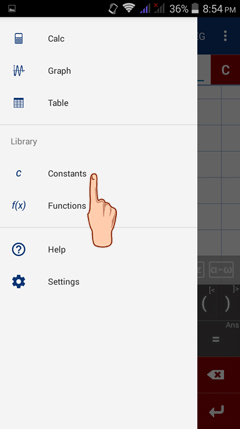 The constants/functions sent can now be used to another program. How to Import the Library? 2) Tap constants if you want to import the constants. 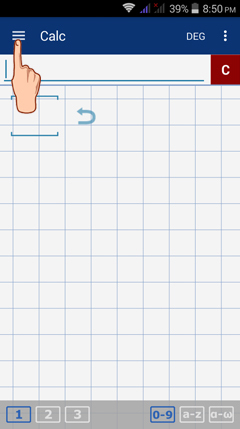 Tap functions, if you want to import the functions saved (or sent) to another program. 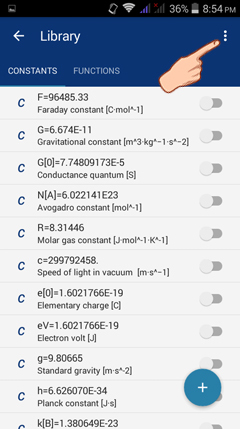 In this example, I intend to import the constants I saved in Google Drive. 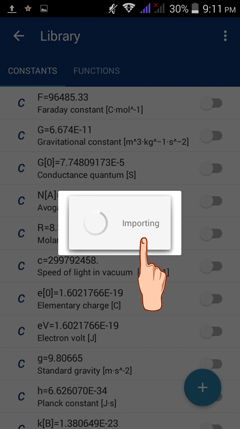 3) Tap the options button on the upper right corner of the library window to see the "import library" option. 5) Select the program where you saved or sent the constants/functions from the library. 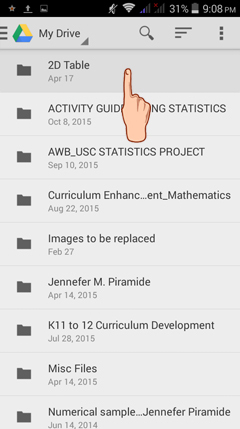 Tap the folder name and file name. A notice "importing" will appear in your screen. 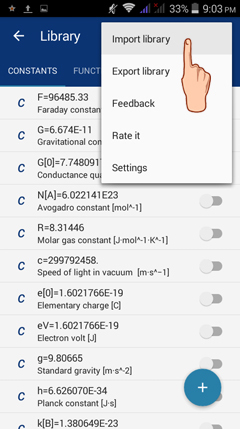 This means, the app is now importing the library contents from the program where you saved it. A final notice such as "imported 23 entries" will pop in your screen. This means, the importing has been successfully processed.